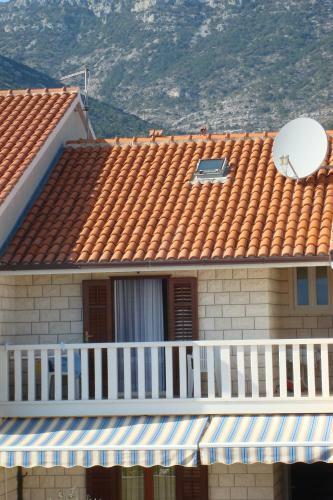 Situated in Bol on Brač Island, Vacation home Mila is located 1.5 km from the widely known Zlatni Rat Beach. Just 250 metres from the coastal promenade and the closest beach, it presents rooms and self-catering apartments with satellite television and free internet access. All rooms come with hardwood floors and feature a furnished balcony with a sea view, satellite TV and a private toilet. Apartments are air-cooled and comprise a well-equipped kitchen with a dishwashing machine and a dining area. Bicycling and diving possibilities can be found in the proximity. Mountain bike and automobile rental can be arranged upon request. Dominican Abbey, with a beach right in front, is 1 kilometers away. A grocery store and eating places can be reached within 300 metres away. Supetar Ferry Port is 38 km away. Split Flight terminal is at a distance of 90 km and a pick-up can be organised. Free car parking is possible on site. 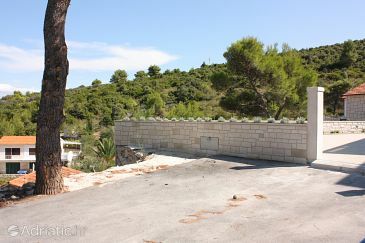 Villa Mila ~0.1 km, Bol price per day from € 40 Situated in Bol on Brač Island, Vacation home Mila is located 1.5 km from the widely known Zlatni Rat Beach. Just 250 metres from the coastal promenade and the closest beach, it presents rooms and self-catering apartments with satellite television and free internet access. All rooms come with hardwood floors and feature a furnished balcony with a sea view, satellite TV and a private toilet. Apartments are air-cooled and comprise a well-equipped kitchen with a dishwashing machine and a dining area. Bicycling and diving possibilities can be found in the proximity. Murvica ( ~ 4.2 km ): 3+ apartments,. Nerezisca ( ~ 9.7 km ): 4+ accommodation units. Skrip ( ~ 11.1 km ): 2+ hotels. Postira ( ~ 12.9 km ): 234+ accommodation units. Beach Samostan, Bol ~ 1,3 km from Villa Mila Sandy beach: ideal for families, recommended for young people, awarded with blue flag, with restaurant, with caffe bar, equipped with showers. Beach Zlatni Rat, Bol ~ 1,5 km from Villa Mila Sandy beach: ideal for families, recommended for young people, with restaurant, with caffe bar, equipped with showers. Excellent choice of watersports. 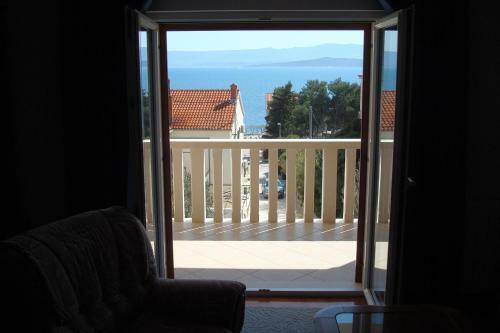 Beach Fkk Paklina, Bol ~ 1,6 km from Villa Mila Sandy beach: ideal for families. Nudism is allowed. Beach Basina ~ 7,2 km from Villa Mila Concrete beach: ideal for families, with restaurant, with caffe bar, equipped with showers. Excellent choice of watersports. Beach Fkk Zecevo, Vrboska ~ 8,5 km from Villa Mila Gravel beach: with restaurant. Nudism is allowed. Restaurant Restoran Centar Marijan, Bol Guest reviews: 8,5/10 ~ 1,2 km from Villa Mila Address: Put Zlatnog Rata Bb, Bol. Cuisine: International cuisine. Restaurant Vagabundo & Bar, Bol Guest reviews: 7,2/10 ~ 0,2 km from Villa Mila Address: Ante Radica 36, Bol. Cuisine: Croatian cuisine. Restaurant Arguola sandwich bar, Bol Guest reviews: 9/10 ~ 0,3 km from Villa Mila Address: Ulica Vladimira Nazora 6, Bol. Cuisine: Fast Food. Restaurant Equinox, Bol, Bol Guest reviews: 7,7/10 ~ 0,3 km from Villa Mila Address: Vladimira Nazora 6, Bol. Cuisine: Croatian cuisine. Restaurant Ribarska kucica, Bol ~ 1 km from Villa Mila Address: Ante Starceviceva bb, Bol. Prices: 218 HRK - 868 HRK. Cuisine: Croatian cuisine.